GUARDIAN BUILDING DETROIT photo picture art print poster for sale. 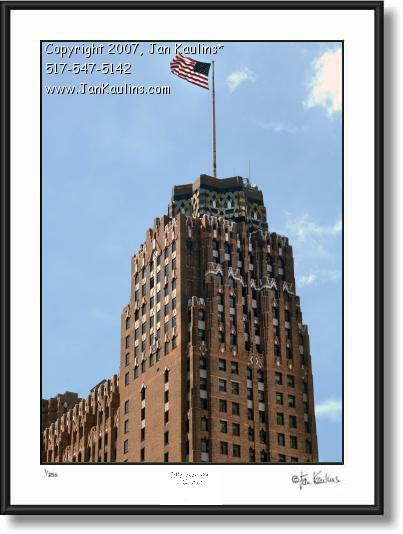 This DETROIT GUARDIAN BUILDING photo picture print for sale is of the top of this historic downtown Detroit skyscraper showing the beautiful Art Deco brick and enamel work of this building. At the top the American flag waves in the wind. This is a fine portrait of one of Detroit's most recognizeable landmarks.